On May 19, 2018, people from all over the world tuned in on television to watch the royal wedding of the Duchess of Sussex, Meghan Markle, and Prince Harry — and whether you watched it or not, the lavish and posh wedding was plastered all over social media, newspapers, television and the Internet. This was said to be the last royal wedding to take place for a while, since the next in line would be Prince William's children. Though being a part of the royal family seems like a dream to many, it is not as sunshine and rainbows as one may think it is. 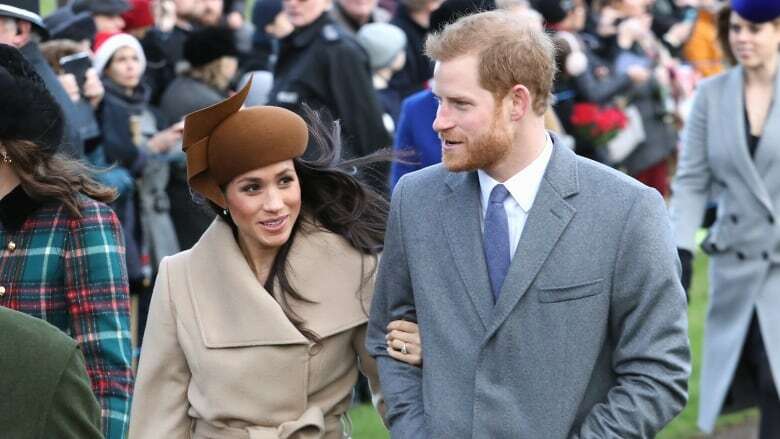 Now that the stunning and alluring Meghan Markle is officially a part of the Royal Family, she is going to have to learn step by step the rules of royal etiquette, though she has already broken a couple. Imagine being in Meghan's shoes, who had no idea what she was getting into and now is learning all the countless weird and strict rules and traditions she must follow. We must give credit to the British monarchy for modernizing a little as the years have passed, but rules of royal etiquette, that Meghan must now follow rigidly, are still as severe and harsh as they once were. The ridiculous traditions that the members of the highest-rank in society are going to now impose on the Duchess of Sussex range from rules on fashion, to behaviour, and mannerisms. Prince Harry has broken royal protocol more than once, so it is hard to believe that the royal rules are so strictly implemented. However, the family members are sticklers for traditions and protocols, and here is a compiled list of the rules Meghan will have to abide by. 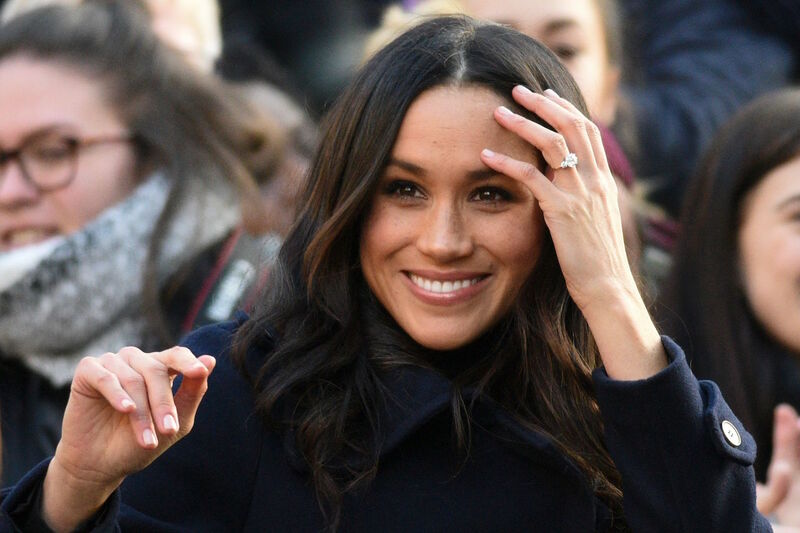 Meghan Markle, who is the new Duchess of Sussex is now officially a part of the British Royal Family, but there is a lot the sizzling brunette must actually learn to become a real royal. Sadly, the signed wedding papers do not mean much when it comes to being a member of this elite family; the traditions and protocols are like a religion that needs to be thoroughly followed. From leading a Hollywood lifestyle, to now being a Duchess, life as she knew it, is now gone. In a generation where most people are obsessed with taking selfies, did you know that Meghan, now Duchess, will no longer ever be able to take a selfie. And you thought that the rules she had to now apply to her life had to just do with tiaras and gowns — wrong-o. One of her new royal duties is to not take any selfies at all, as the Royal Family, that has "modernized" it seems, does not permit the Duchess to take selfies with her beloved fans and followers. Apparently, the Duchess of Sussex and Prince Harry said, "We're not allowed to do selfies," to fans who asked for one at their first officially married public event. The reason for the modern rule? The Royals believe it is rude and disrespectful for fans to turn their backs to Royal Family members to ask for a "selfie." To stay on the Queen's good side, Meghan is going to have to get her act together and make sure she does not cross anymore lines. We all assume that being a part of this family must be like a fairytale, but Meghan is going to lead a life that is very ordered because she is living a life servicing the monarchy. Of course, being a royal does have its perks, but the protocols Meghan is about to face, like the one that disallows her to sign autographs, proves that there are more downsides. The leading lady of Prince Harry, who most know because of her iconic role in the television drama Suits, will now never again be able to sign autographs for her Suits super fans, as well as Royal Family fans. It is unfortunate for the fans that admire the Duchess because they will never posses an autograph from the new Royal Family member and trendsetter — we cannot forget the Givenchy wedding dress she looked dreamy in. We are sure Meghan is sorry to disappoint her fans, but to make sure she starts on the right foot, she must make sure she does not breach this protocol. This rule is a historic one, and signing is condemned completely off limits by the monarchy. Why? It is a long-standing rule to avoid forgery. We agree that the royal women always look fabulous, fancy and lavish— whether they be in gowns or in skirts, but, there is way more to it. It appears like a complete fairytale when a woman gets to dress up in her fanciest outfits, with the most eccentric and posh hats, but evidently, proper etiquette comes into play with dress code. For Meghan, the new duchess, to be seen and respected as a real royal woman, then she must recall each time she sits down in her perfectly hemmed skirts that she must sit in proper manner. 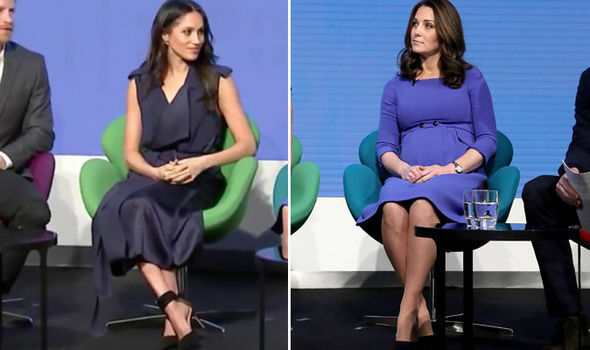 The mannerisms of a royal woman are all watched carefully, and when next to the Queen specifically, Meghan is going to have to make sure she sits correctly. The worst thing Meghan can do at the moment is sit wrongly in front of her Majesty. To further explain what being a part of the British monarchy means, as far as rules go, Meghan is going to have to sit with her legs and knees kept closed together for the rest of her life, only allowed to cross at her ankle to allow for comfort — how considerate of them. 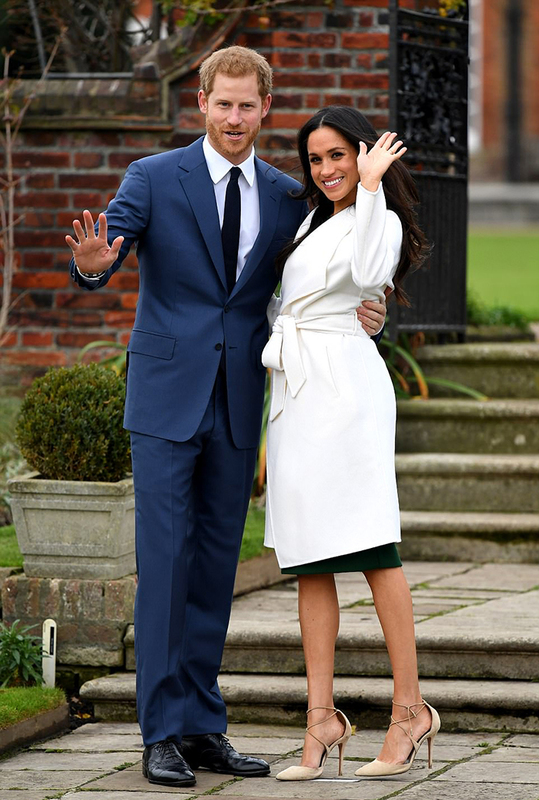 The Duchess of Sussex, to keep formality, will no longer be permitted to sit with her legs crossed at the knee. Royal protocol for sitting gives royal women like Meghan a modest posture. Now that the Duchess of Sussex is officially a part of the Royal Family, her new person to follow is not her husband Prince Harry, but her Majesty. What is Meghan going to have to keep cemented in her mind? 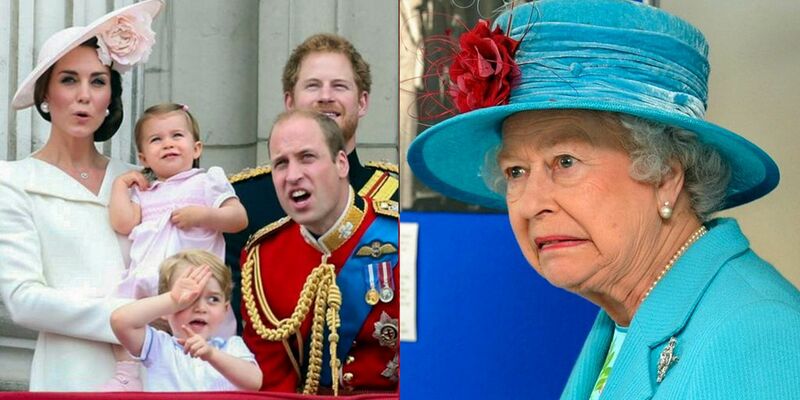 That everything the Queen now does must be mimicked by all Royal Family members, including herself. Meghan is only a duchess after all, along with Kate, so she does need to have a commander and ruler, and that is the Queen. We feel bad if Meghan likes to periodically snack throughout the day, because if the Queen is around, that is a big no-no. There is a certain rule that extends to the Duchess of Sussex and all others when they are dining with the Queen, and that is that royal members and others cannot eat before the Queen and not after the Queen. Seems fairly simple right? But we believe it is totally unfair for Meghan. This rule that must be applied when eating with the leading lady of England means that Meghan must do what the Queen does when eating, while keeping her eyes open to follow her every move. Even if there is still food left, a royal like Meghan must immediately stop eating when the Queen stops eating. 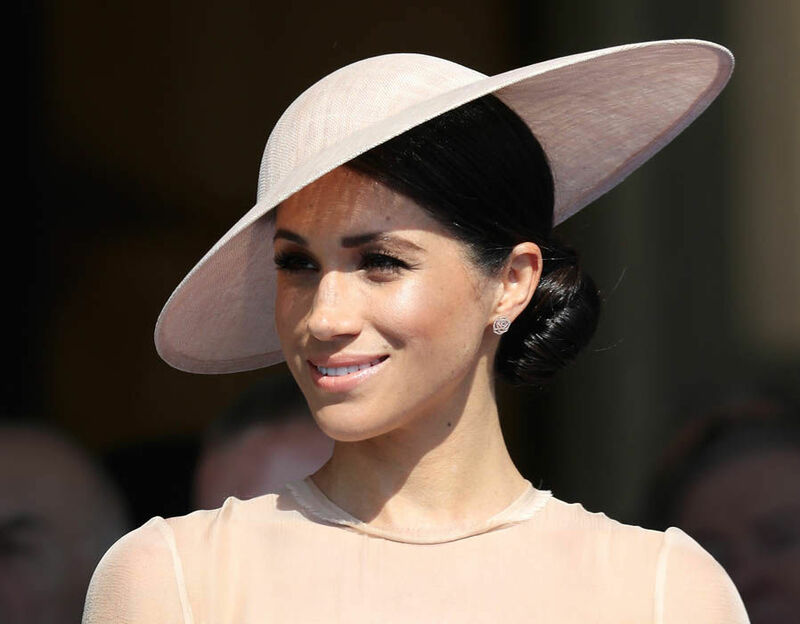 We have never seen the Suits hottie pull off an extravagant hat on the show, but now that the drop-dead gorgeous Meghan is the Duchess of Sussex, she must rock a hat whenever she is obliged to. It is every girl’s wish to be a part of the Royal Family because they wish to don a tiara and a gown like a true princess — even if that means for just one day. However, if a woman was really a part of the Royal Family like Meghan now is, she must ditch the tiara idea for the hat. Royal protocol and tradition calls for marriage for a royal woman to gracefully wear a tiara, and Meghan is married now, but wearing a hat is a rule that must be followed daily. As we've mentioned before, many of the royal rules are historical ones, and wearing a hat while out in public at a formal event is a long-lasting tradition that must be followed without exceptions. 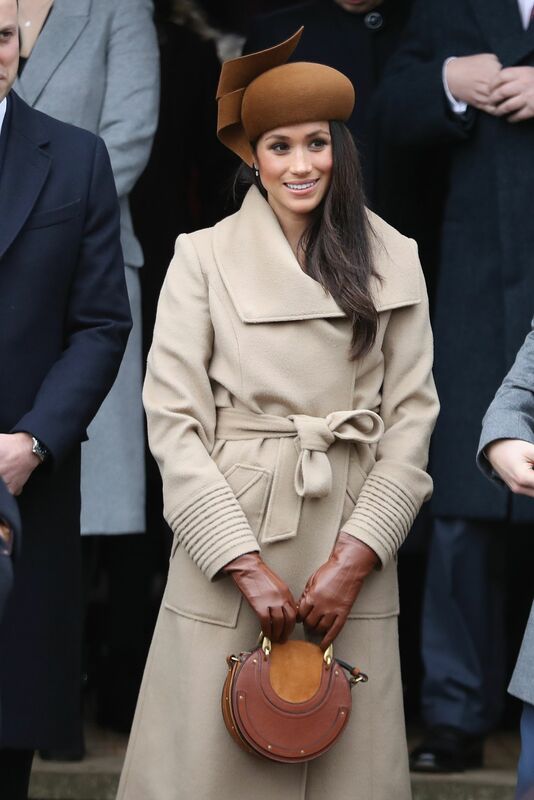 Fortunately for Meghan, she looks awesome with a hat, because in the monarchy, no formal look is complete without a posh hat. We doubt Meghan dislikes the aristocratic tradition of glamorously sporting a fancy hat at least. A rule that dates to the 1950s, there is no way Meghan can avoid this tradition. Remember when Meghan came out at a public event before her marriage to Prince Harry with her gorgeous dark-green Strathberry side bag? If ever you wanted to purchase that exact one, Meghan's may be up for sale as such purses are not prohibited in the monarchy. The Duchess of Sussex is our new favourite fashion guru and trendsetter, and after her very glitzy and elegant wedding, we are digging Meghan even more. However, as a now royal woman, that has already broken a royal fashion protocol before that disallows purses such as the Strathberry, Meghan must now make sure she does not dare sport the crossbody bag again. What we are basically saying is that the Queen will despise Meghan if she catches her with anything other than a clutch again. This rule implies that women are only allowed to carry a clutch that they must firmly hold onto with both hands — so classy, right? No, the deplorable reason behind this style etiquette rule is that it permits the royal women to avoid shaking hands. Be prepared to be a little weirded out because this Cinderella story is not all packed up to what it seems to be. We did warn you that the royal traditions and rules that are now a part of Meghan's life are strange and ridiculous. There are many things that royals are prohibited from doing, however, this rule is bound to make one, including Meghan, raise an eyebrow. Being a part of the Royal Family does not mean staying in England, instead, royals lead a somewhat nomad lifestyle as they are constantly travelling for many purposes. For the longest time, since the dawn of time for the British monarchy, they are known for traveling around the world for lengthy periods of time; they are always on the go and they often go from one place to another without returning home. And what does that mean? The Royals, including Meghan, must make sure they pack appropriately, which means packing a set of all-black funeral clothes. Sounds like an absurd rule doesn't it? However, this rule is completely out of respect in case a death may occur while traveling. A member of the monarchy is obliged to pack an all-black outfit that is considered funeral appropriate, and there is no bypassing that rule. Talk about living in a free world, Meghan is no longer prohibited to do something that women were not allowed to years ago, and that is voting. The British Royal Family is the most influential family in the world, and now that Meghan is a part of it, her right to vote is a privilege that no longer exists for her. Since they are the most powerful and influential family in the world, though, we were completely surprised to discover this rule that the Duchess of Sussex and all her new family members must strictly abide by. However, taking a step backwards, we understand how this rule makes sense because of the mere fact that they are such a powerful family. Because the Royal Family has supremacy over the Commonwealth, what they do and decide easily influences all those under them, which in turn makes people want to mimic all their decisions — even political ones. They can have political views, but it is best they do not share them for that simple reason. It is best that Meghan learns to remain neutral with politics to keep matters running smoothly basically. How rare is it to hear a rule that goes against political conversation? Good luck to Prince Harry with trying to keep his hands off his steamy hot wife, the Duchess of Sussex, in public! Though most royal traditions and rules are overboard and odd, this is one some of us may agree with, just because of experience. We are talking about not being huge fans of PDA, just like the Royal Family — except for them, PDA is completely banned and forbidden. While some enjoy PDA, and others loathe it, there is no written rule for the general public that states that engaging in any form of public display of affection is banned; unless you're a royal like Meghan is now, that is. We guess that some of us are like the British Royals then, when we see PDA happening, we are utterly annoyed and look down upon it. It has been a long time that the Royal Family consider PDA to be way out of line, and Meghan must get used to keeping her love for the Prince on the down low. It is a shame that we cannot see Meghan and her new beau show a bit of love and affection, but royal couples must remain fairly stoic since it is frowned upon. Don't even think about holding hands, Meghan — just do not go there. 11 Don’t Forget To Curtsy! Like the rest of us non-royals in the world, Meghan definitely never did this before until she met Prince Harry and was introduced to the Queen — we are talking about curtsying. As we have mentioned, most of the Royal Family rules have to do with specific manners that must be followed amongst one another and bowing, and curtsying is the main one. Definitely not a part of our daily routine as commoners, Meghan must now learn and adapt to the curtsy and make it as natural a habit as eating. Upon greeting the Queen, a simple wave hello does not suffice. Meghan and all others that are a part of the monarchy must perform the act of bowing and curtsying immediately and without hesitation. There are absolutely no exceptions to this precise rule; when a woman is a part of the Royal Family sees the Queen, she must greet her Majesty eloquently with a bow and a curtsy. Why does this remind us so much of Cinderella and her evil stepmother? However, what is most odd about this rule is that the Queen only expects royal women to perform this task, and not the men. Meghan is going to have to get her curtsy game on! There is nothing more annoying and unpleasant in this world for a woman than pantyhose — we swear! As you may have guessed, the women that are a part of the Royal Family are not allowed to be to revealing and seductive when they dress, yet, since they are always wearing skirts that flash their legs, they need to slap on pantyhose. Poor Meghan, she will never be able to strut the streets bare-legged ever again. Though we are informing you of the rules that Meghan must follow, most of their protocols are unheard of because they are unspoken policies, however, we could not let this one get by us. There are a couple of rules that have to do with fashion etiquette, and this rule is an imperative one that a royal woman must obey at all times. We are certain that Meghan has never sported pantyhose on the red carpet, but to now be a part of the Royal Family, it is vital that she wear these under a dress or skirt in public. It is a fashion stipulation that the Queen wants to keep alive, so Meghan better be quick to make wearing pantyhose a habit. Meghan, you are the ultimate trendsetter and fashionista at the moment, but now that you are a part of the British Royal Family, you may as well give away your entire wardrobe and start all over again — not even we can keep up with the fashion rules. The Royal Family have somewhat modernized by adapting some rules to our current time, also adding rules that concern social media, but there is one tradition that Meghan is going to have to get the swing of quickly, and we are talking about the no-fur policy. This tradition demonstrates just how much the Royal Family has stayed back in time and not advanced like the rest of the world, as the rules dates way back. A little history lesson here; back then, there were days where fur was a novelty and "faux fur" did not exist. It is no lie that what to wear in the family is governed utterly by royal protocol, especially way back in the 12th century when Edward III made the banning of fur a concrete rule. It is difficult to believe that with such advancements in the field of fashion that the rule still be carried on. We are sure the Queen has fur hiding somewhere. Just in case the Duchess of Sussex ever had time in her busy acting life to play board games like Monopoly, she can now forget that playtime forever. We certainly had to include this rule because it is the most awkward royal rule to ever come into existence. Can you even imagine a childhood without playing the famous board game? Meghan and her future children will never get the chance to take a shot at the property-trading game because it is completely forbidden for all members of the Royal Family, and not just the women. "We're not allowed to play Monopoly at home. It gets to vicious." Now do you comprehend us when we say that this rule is the weirdest of all? Despite all the scandals this family has been involved in, who would have thought that not playing a family-friendly game would not make it? We know that Meghan loves being around her new Prince, and we do not blame her, but being a royal means more than lovey-dovey romance. For once, we can say that this is a smarter rule imposed by the Royal Family as it concerns the family’s health. According to Royal protocol, a father is not allowed to travel anywhere alone with his son, but this concerns the women too. To be more specific, royal protocol will not permit Prince Harry, and their future son (if they have one) to travel on the same plane. Why? Because a plane cannot contain two Princes who are in line for the throne in case of accident, which means Meghan is going to have to start getting used to traveling without Prince Harry. 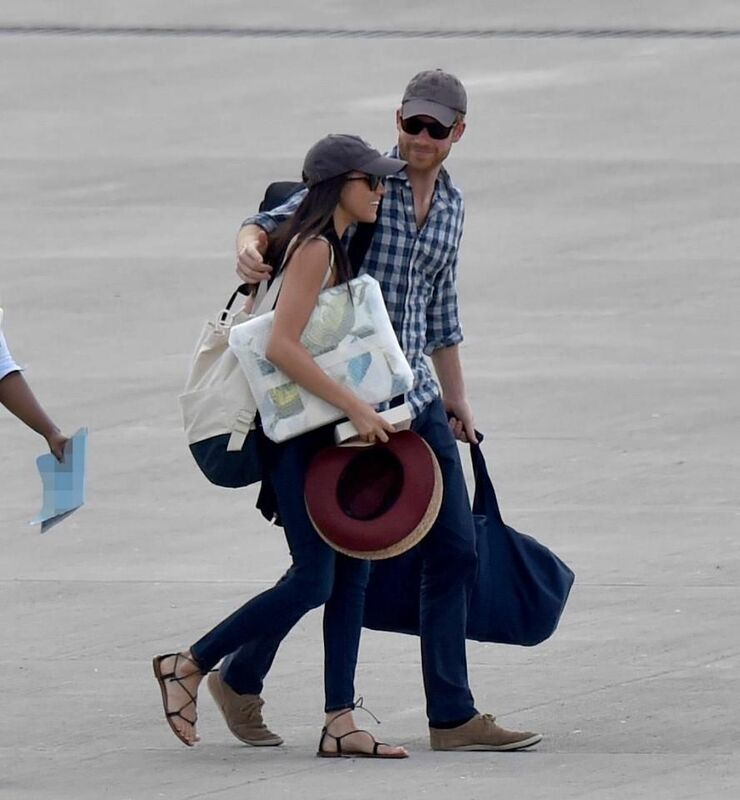 In the future, when Meghan has children, it will be she who will travel with her children while her hubby, the Prince, will be on a separate plane. Though Prince Harry's brother, Prince William and Duchess Kate have flown together before as a family, it is a complete breach of a royal rule. Duchess Meghan will also learn that when it comes to traveling together, it is the Queen who has the final say on whether the can or cannot. Before Prince Harry besotted Meghan, she was a Hollywood star who looked dashing in revealing dresses, skimpy clothing, skintight bottoms, and casual wear. However, now that she is the Duchess of Sussex, she can even forget about lounging around in sweatpants or going shopping in comfortable clothing; the Royal Family does not even know what casual dressing means. It is basically the time that Meghan is going to have to revamp her whole wardrobe to make sure she adheres to the strict dress code she now has. There are plenty of dress code rules that Meghan is now going to have to abide by, so she can immediately ditch her mini skirts if she has not yet, unfortunately. The royal women, specifically, have mostly all fashion etiquettes imposed on them, that they have no choice to follow. Royal women are always wearing skirts, but the length is very specific, as E! News reported, the Queen does not approve of skirt hemlines that are an inch or two above the knee — watch out there Meghan, the Queen will be watching that length like a hawk. And who ever thought there would be a fashion rule that would disallow a woman to wear jeans? Well, leave it to the Royal Family to prevent women from wearing jeans — what a shame. We all love the holidays, but Christmas day is going to be a little different for the Duchess of Sussex this year, and for the rest of her life by Prince Harry's side. Yes, royals have rules applied all year long, even on Christmas. Meghan is going to have to start getting used to a whole other kind of Christmas, one that is less traditional and less exciting. For most common people, Christmas morning is the most exciting morning of the year; it is the morning where children and adults all rejoice together as they excitedly unwrap their Christmas presents, but in the Royal Family, that is not how it works. For the Royal Family, gift exchange has a rule applied to it, and that is that there is no such thing as opening presents on Christmas day. Instead, Santa makes a special stop the day before for the royals only to deliver their presents because the royal rule is that presents are opened on Christmas Eve. This tradition and rule that Meghan will also make her own, dates to the 16th century, where the long-standing rule states that the entire Royal Family gather together on Christmas Eve at tea time to open their gifts. Maybe we are a little jealous Meghan will get her gifts a day early. From actress to Duchess of Sussex, Meghan can now forget about having any contact at all with everyday people. Basically, if you are not a member of the Royal Family, or Meghan's family, you can right away give up your dreams of getting anywhere near Meghan. She is now untouchable, so all men who are in love with the brunette beauty can now forget about ever getting close. We are uncertain this tradition makes any sense at all; we are not sure if we find this rule a completely pathetic protocol, or if we should just laugh at the disdain nature of it. Meghan is going to now forget about us all, and just see us as commoners she can’t get nowhere near; this means no hugs and hand-shaking. The Royal Family, who are the highest social rank, are not allowed to have any personal contact with someone who is outside of their world. Which in other words means that since we are not royalty, we are not allowed to touch them. Everyone knows, that by ridiculous tradition, they are not allowed to have any contact with non-royals — we are just not that good enough for them. We will not be surprised though if Meghan breaks this weird protocol just the way Princess Diana shunned it down. Just when we thought royal rules and traditions that are on Meghan's to-learn list could not get weirder, they did. We spoke about a strict dress code before that Meghan is going to have no choice to strictly follow, but that is not all she will have to follow beauty-wise when she wakes up in the morning. What is it we are talking about? Nail polish. Now that Meghan is officially a part of the Royal Family, all the freedom she had to do her nails whatever colour she pleased is now taken away from her — and you all thought that being a part of the family was roses, well, think again. It is completely odd that such a rule be implied when the Duchess of Sussex and even Duchess Kate are the ultimate trendsetters, yet they cannot flash off their nails with the trendiest colours of the moment. When it comes to the Queen and fashion etiquette, the more things change, the more they stay the same quite frankly. Meghan is going to have to take fairly simple lessons from the Queen and do just like her and sport the same colour nail polish for the rest of her life. Apparently, Essie's "Ballet Slippers" shade is the way to go since dark colours are a big no-no. A purse comes way more in handy for the royal women than you think — yes, a purse has more than its actual use for the royals. The Royal Family has obviously put way more thought into the many things a purse can be useful for, and little did we know. 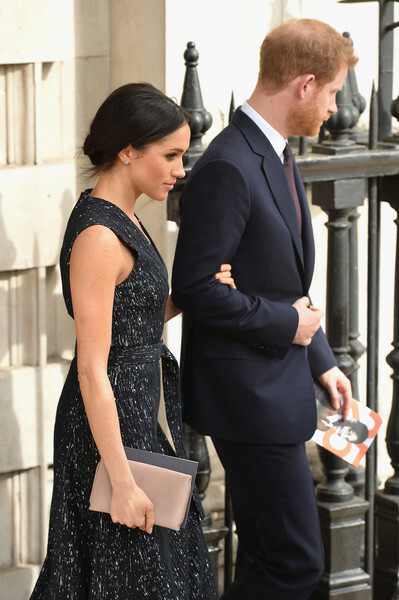 Meghan is going to now use her purse for more than one purpose; to avoid shaking hands, to understand that dinner is over, and to subtly signal that the time is up. Basically, the rule here that Meghan cannot break is making sure she uses her purse to send signals to her surrounding Royal Family members. As we mentioned before, general protocol for holding a purse, like a clutch, is for it to be grasped with both hands, which easily lets the royal women avoid contact. Leave it to the oh-so clever-Queen to come up with this rule, that involves using a purse for social cues. For example, if the Queen is engaging in conversation, her purse needs to carefully be observed by staff, as changing her purse from the left hand to the right hand means she wants the conversation to end. So, if ever Meghan is bored of the Queen and feels awkward, can she do that to her too, so she can have out of the conversation in a "polite" way? We had to leave the funniest rule for last because this one that Duchess Meghan is going to have to follow for always is simply a rule because the Queen herself is not a fan. It is safe to say that the Queen does not vouch for anything fashionable that is the slightest comfortable, because why look great and be comfortable at the same time, right? said by a royal source to Vanity Fair. We love the inside scoop, but our feet are in pain for Meghan.